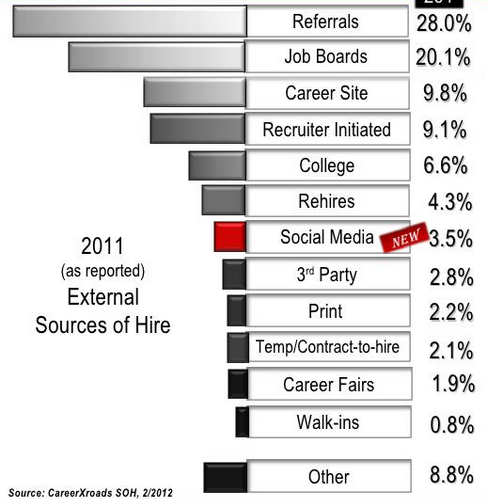 First it was social recruiting, then it was mobile recruiting. Now talent communities are apparently the latest cure for all of your talent troubles. However, like Socrates, I believe there is value in questioning everything. So when I start seeing a strong buzz about just about anything, I immediately hit it with a dose of healthy skepticism and start asking some tough questions. I’m well aware that there are talent acquisition leaders out there right now that are saying, “What we really need is a talent community,” primarily because of the buzz the concept has been building over the past year or so. I worry that these same people are placing blind faith into the talent community concept out of the hope that it will help them in some significant manner with their talent acquisition challenges. When I attended a webinar on building sustainable talent communities the other day, I felt it raised more questions than it provided answers. Because I know I can’t be the only person wondering about the validity of the talent community concept, I thought it would be a good idea to share with you my thoughts and questions. One of the fun things about highly buzzed-about concepts like talent communities is that they’re actually hard to define concisely. If you ask 10 people about what they think a talent community is, you will likely get 10 different answers. I’ll share two of the better definitions I could find with you. There are many more definitions, and while they all vary to some extent, they do for the most part agree than a talent community is not a database of people, and your ATS doesn’t qualify. Also, most people tend to agree that a defining characteristic of a talent community is that interaction among members is key. I mean, after seeing that, who wouldn’t want to build a talent community? Well said, in my humble opinion, and it echoes many of my same concerns and issues that I have with most that is written and spoken about when it comes to the concept of talent communities. What I love about Wikipedia is that it’s similar to the scientific community – if you make a claim, you had better be able to back it up with unbiased facts or else you will be called out on it. I would like for someone to show me real data that proves any of the above claims. I don’t believe that talent communities offer companies qualified candidates at a recruiter’s fingertips, any more so than other proven methods of sourcing and recruitment. By the way, I thought job boards were supposed to die over 10 years ago. I guess no one told them, nor did anyone tell job seekers. I’d love to see any data that clearly shows that talent communities increase applicant quality. As I’ve written many times before, you don’t have any control over who applies to any job at any company. Similarly, a talent community doesn’t give you any magical ability to control who comes in and starts to participate. so who can argue that talent communities attracts and produce better candidates and applicants? The first question I asked myself when I was first exposed to the talent community concept was what are the chances that a talent community will attract the best talent? I think that’s perhaps the most critical question to ask of any sourcing or recruiting strategy or tactic. I believe the data that has yet to be collected and/or presented would show that talent communities are made up of a normal distribution of people. Without a mechanism to effectively and reliably pre-screen who joins a talent community, any claims that talent communities produce better candidates or applicants are baseless. I found the claim that talent communities would attract passive candidates to be particularly interesting. If you take a look at this infographic on the differences between a talent pool and a talent community, you will notice the talent community path starts with someone being interested in an employer’s brand. Arguably, the vast majority of people who become interested in an employer’s brand (aside from liking their products) become so because they would consider working for that company. Passive job seekers and people who aren’t looking at all would not likely take action to join another employer’s talent community. That means the majority of the people who join and participate in a talent community will be active job seekers. Not that there’s anything wrong with that – just please don’t make claims that talent communities attract passive candidates until you have the data to back them up. Gareth Jones wrote a spot-on piece about the myth of the talent community – I urge you to read it if you haven’t already. Gareth astutely points out that “Job seeking is an event, not an interest,” and that fact alone will render many corporate branded talent communities into pit stops along the career highway, frequented mostly by transients and passers-by. My guess is that isn’t how most companies would like to view their talent communities, but it is an accurate reality. Talent community populations are destined to have a high turnover rate, because once the active and casual job seekers actually find their next position, the engagement will drop off. As such, long term engagement in corporate branded talent communities is intrinsically limited. Is the value of a talent community diminished when the majority of the members are constantly turning over? Have you ever wondered about how many talent communities that the people you are looking to identify, attract and perhaps hire at some point can possibly belong to? Although some hiring managers have a Ptolemaic view that the talent universe revolves around the company they work for, the people you’re looking to attract and hire have lots of choices, and your competitors and other companies are vying for the same talent you are. Your talent community is one of many that the talent you so covet can chose from. As such, the question must be asked – how many talent communities can a person realistically belong to? How about actually participate in? Or better yet, actually want to belong to and participate in? Natural talent communities – not those whose primary purpose is to serve as a virtual water hole for talent – already exist. Hence the argument made by Sarah against the talent community entry on Wikipedia – that without the obvious bias to the text, it would basically be a duplication of parts of the main Community or Outline of Community entries on Wikipedia. The addition of “talent” to the word “community” seems to automatically denote that the main or dual purpose of the community is for recruiting. If you take the recruiting aspect away from the intent of any “talent” community, it simply becomes a community. Natural or organic talent communities already exist on LinkedIn, Facebook, Github, Ning, and many other sites. My use of “talent” here is to distinguish them as professional groups – people who share similar work-related interests and experience (Java, supply chain management, mobile app development, Six Sigma, project management, etc.). Natural/organic talent communities are typically created by actual members of the community – not recruiters or HR professionals, nor were the communities created with recruitment as one of the main purposes. Artificial talent communities are those that are created by recruiters or anyone with the main or dual purpose of recruitment. I don’t use “artificial” to insinuate any negative connotation. I use “artificial” simply as a reflection of the fact that the community was not created solely to bring together a body of persons with common and professional interests and facilitate interaction among them. Think about natural and created diamonds. Regardless of how they were made, they’re diamonds – it’s just a matter of how they were formed and for what purpose. Do You Need to Create a Talent Community? Do you really need to create a talent community? Are you having trouble finding and attracting the talent you need? What do you think that a talent community will accomplish for you that all of the other options you have at your disposal won’t do? If you’re looking to identify people that are passionate about and interested in what they do for a living, that’s great – but is creating a talent community the best and most effective method of doing so? Besides, natural or organic talent communities may in fact already exist for the types of people you are looking to hire. If they don’t, you could go about creating one. However, if you do – would you brand it with your company? A corporate branded talent community attracts active job seekers – people who have an interest in learning more about a potential employer and will take action to do so. 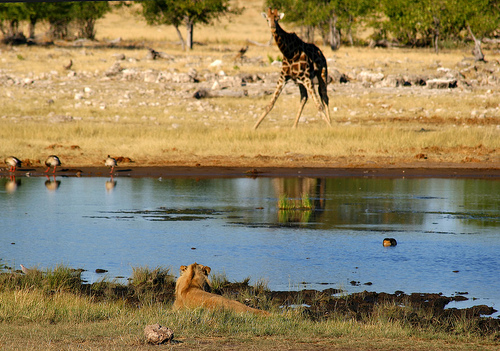 However, to the passive or non-job seeker, any corporate branded site is like a watering hole during the drought season with crocodiles in the water and lions lying in wait in the brush. It doesn’t take much Internet research to find people complaining about the fact that recruiters “ruin” organic talent communities. If you poke around many LinkedIn and Facebook groups for any relatively in-demand skillset, you’ll likely find more recruiters than non-recruiters, spamming jobs and soliciting referrals with aplomb. It’s one thing if you’re going to claim that your employer’s micro site or Facebook page is a talent community (I’d argue they really aren’t, but that’s another discussion), however, if you’re going to try and create a talent community of a specific group of professionals, I’d recommend to not brand it so that it’s less artificial and disingenuous. It is about you, because you’re not creating a talent community out of the kindness of your heart or out of sheer altruism – the main reason you’re creating it is to attract talent that you can recruit. Just be honest and upfront and don’t try to fool anybody, including yourself. Of course, just because you try to create a talent community, it doesn’t mean anyone will come. Please don’t construe any of the above to mean that I don’t see any value in the talent community concept. I’m a fan of natural or organic talent communities, and I don’t believe that attempts to artificially create them reduces “dependence” upon job boards, increases the quality of applicants, creates a talent pipeline, or attracts passive candidates. I’d love to see data that shows me otherwise – and you should demand it before buying into the concept of building a talent community.